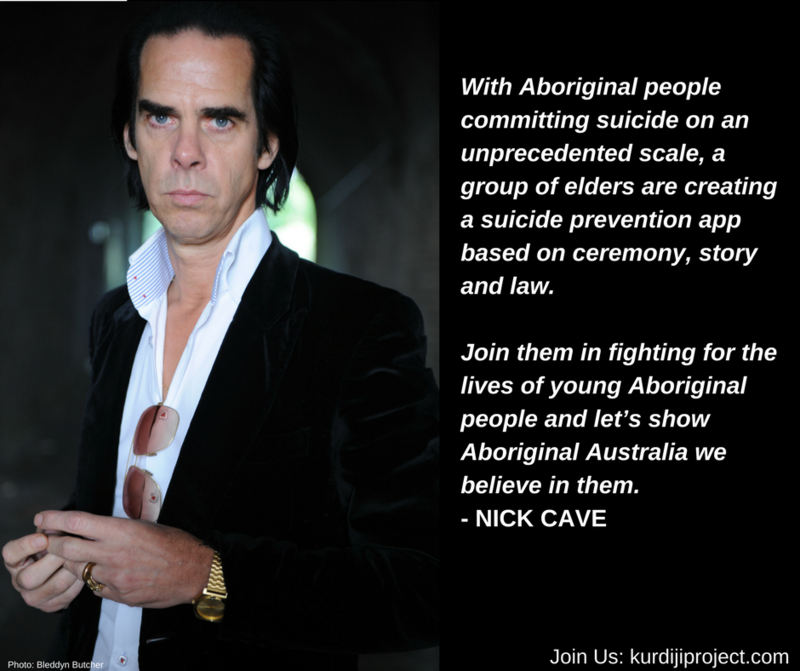 Nick Cave has expressed his support for the crowdfunding of a suicide prevention app for indigenous people in Australia, encouraging people to “[fight] for lives of young Aboriginal people and [show] Aboriginal Australia we believe in them”. Originating with the Milpirri festival in Lajamanu in 2005, the elders of the community aimed to share the message of ‘Kurdiji’ among the young people as a way preventing suicide using the messages of ceremony, stories and traditional law. Expanding the concept of ‘Kurdiji’ on a digital platform is the next step for its founders.